Top Of The Pops made its last live appearance in 2006, but a marathon set of repeats is well underway. This year, the repeat cycle has reached 1978 and you could tune in tonight and watch the Dooleys, Ruby Winters, Darts and the Boomtown Rats. Music remains powerfully evocative for memory and there are few of us who aren’t transported back in time when we hear certain tracks. 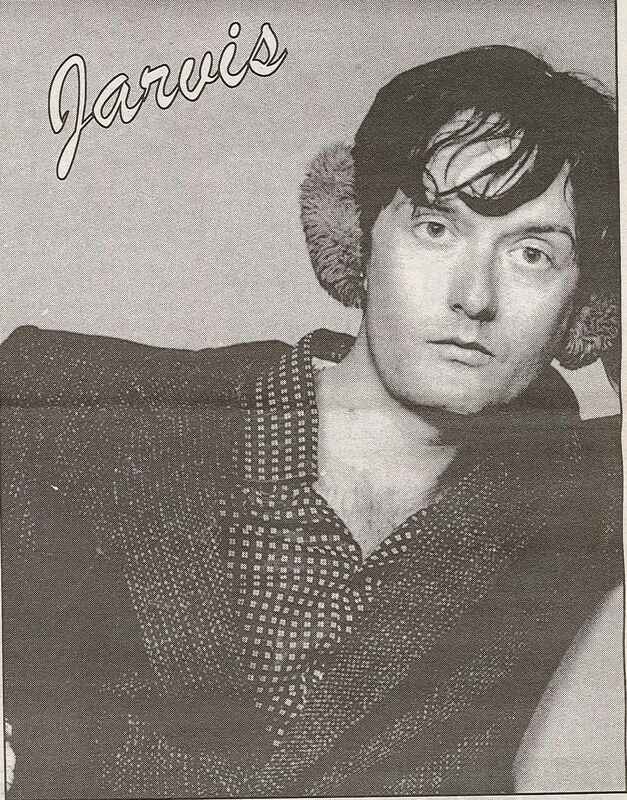 As well as cataloguing local news, the Sentinel inevitably reflected the wider times around it and this was particularly true when it came to music trends. Its record reviews were often forthright. But it also covered wider music news and gave space to often passionately held views about music. In 1978 it published an article called No Future which challenged the view that punk rock was dying out. You can read the article here. When musicians sought to influence politics in the 1980s, Red Wedge was set up as an alliance of musicians, writers and artists to promote the importance of political knowledge and activism. In 1986 the Red Wedge tour came to Edinburgh and the Sentinel obtained interviews with some of the key members as well as reviewing the concert itself, publishing a 3 page feature in their February 1986 edition. Large events were also covered. In 1996, there was a feature on T In The Park where the headline acts that year were Prodigy, Radiohead and Pulp. Rumour had it that Keanu Reeves was making an appearance but unfortunately for the journalist they missed his performance. You can read all about one writer’s experience of T In The Park here. Concerts were also covered and in 1996 the Sentinel obtained tickets for Oasis who played at Loch Lomond in front of 40,000 people. It’s fair to say that the reviewer was impressed by the whole experience, describing their response as “stunned admiration”. You can read their review here. Local bands weren’t overlooked. When the Wester Hailes Festival Association organised a free rock concert in Sighthill Park in 1986, the event received full coverage with information about all the bands playing including the Styngrites, Camera Shy and The Play. Also included in the local music feature were other up and coming Edinburgh based bands who were taking part in a competition at the Jailhouse, Calton Road. And if you want a taste of those forthright record reviews, there’s a good selection included on these pages as well, including the hope that one album takes to the charts like a rock to water! You can read this music feature here. Categories: history, people | Tags: history, music, Wester Hailes, young people | Permalink. The debate over affordable food in the light of the horsemeat scandal has highlighted the issues surrounding economy food products. Whilst everyone likes a bargain, many people purchase these products because they have fewer choices when it comes to price. Economy burgers and supermarket own brand ready meals provide low cost options for those on a limited income and with a lack of possible places to shop, especially if they rely on public transport. People currently living in Wester Hailes might well be concerned that economy value meals are being investigated for mislabelling but they might find they have fewer options when it comes to finding affordable alternatives. It was often a struggle for people in the early days of Wester Hailes when it came to food shopping. The original plans included avenues of shops throughout the area, but these ideas disappeared as commercial enterprise became involved. Plans were agreed for an enclosed shopping centre but with the guarantee that no other shops would be built nearby to satisfy developer demands. Even once the shopping centre was agreed, it remained unbuilt for several years whilst housing was occupied, finally being opened in 1974. At the time Ten Years on was written, the general impression given of the shopping centre was that there was now a good selection of shops including 2 supermarkets and 31 other shops including butchers, greengrocers, frozen foods, chemists and footwear. 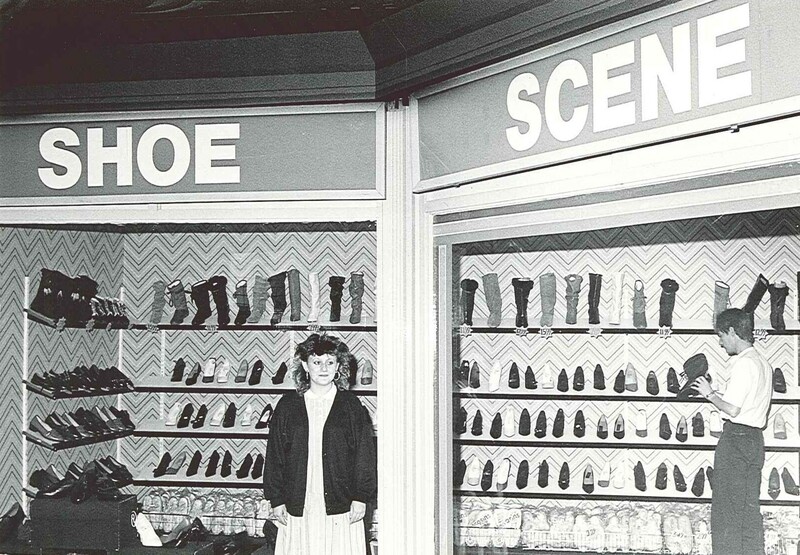 In fact there were so many shoe shops that there was a local joke saying that people in Wester Hailes must be wearing out shoes quicker because of having to make the long journey to the centre! 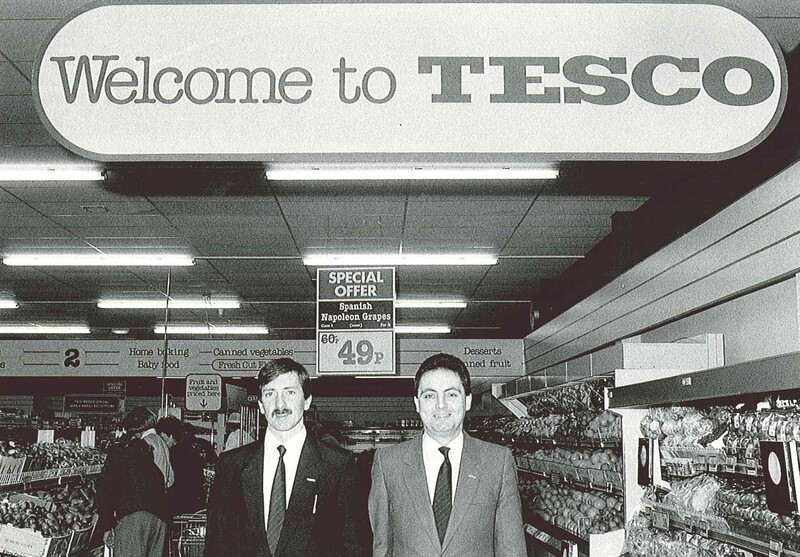 The only other main supermarket was Tesco’s which opened in 1982 by Hailes Quarry Park. Although it offered variety, its arrival was not unanimously welcomed. In 1984 the shopping centre had a refit and was opened as the Forum by Lewis Collins, again with a good range of shops. However, over the years, Wester Hailes has seen a marked decline in the number of shops selling fresh food. In 1995, a fierce battle erupted when Presto announced it was closing with the potential loss of 70 jobs. 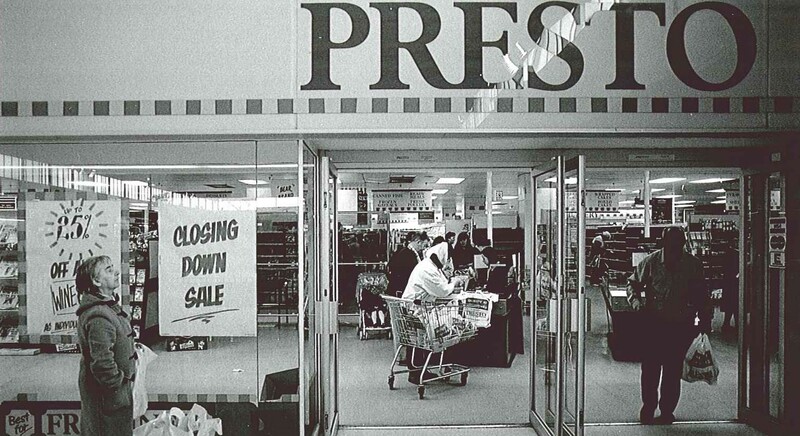 The owners of the centre went to court to force Presto to remain open, recognising that the centre would struggle without the draw of a supermarket. 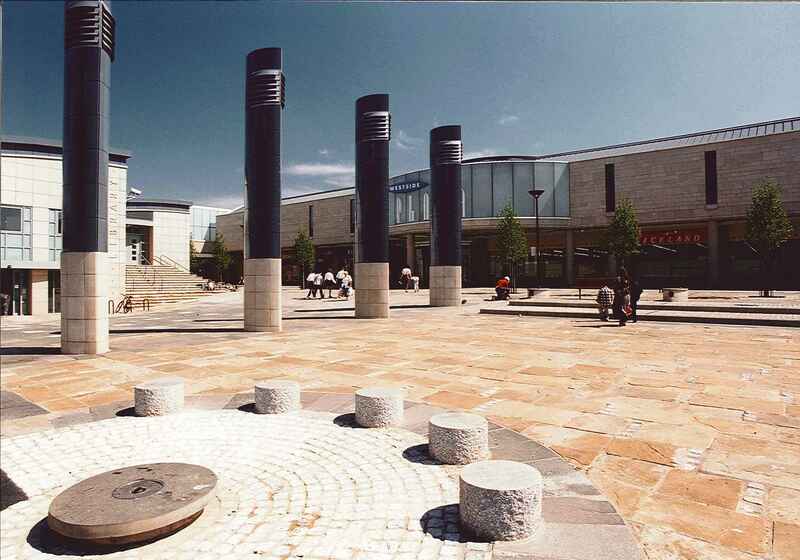 The centre then underwent another set of developments as part of the town centre development with a new library, multi-screen cinema, bingo hall and a new District Council office in 1996. However, this did not mean a greater range of food shops. As new shopping centre developments elsewhere were launched, it was Wester Hailes that seemed to lose out. Hermiston Gait and the Gyle Shopping Centre both offered large scale supermarket shopping, but only really for customers with cars. If you rely on public transport, shopping at these centres is tricky and has to be planned out due to infrequent buses, or unhelpful connecting times. Meanwhile, Wester Hailes was down to one supermarket and in 2008 gained a certain fame as the one place Tesco actually closed down in. The lack of affordable food sources locally led to attempts to establish food co-ops. With these being on a non-profit basis, it was possible to offer healthy fresh food at affordable prices. Several food co-ops were launched in 1997 and the Sentinel provided information about their development and progress. They often had short shelf lives, finding it hard to be open for long enough to generate sufficient custom. The last word should perhaps belong to Davie Wilson, writing in the Sentinel in 1996 during another food scare that gripped the press. The rise of BSE had created huge levels of concern and beef sales had slumped. You can read what was said about Scottish beef here. Categories: history, people | Tags: community, history, local economy, Wester Hailes | Permalink. High winds are causing havoc in parts of the country today. Back in 1986, Wester Hailes was hit by westerly winds that ripped off the roof of the new Murrayburn Community Centre. Wester Hailes has had its share of bad weather damage over the years, with snow, flooding and ice creating damage on buildings and roads. With its particular location, high winds can create damaging effects. The new centre had only been open for a week before the damage caused it to shut for three days. You can read more about this story by clicking here. Categories: newspaper | Tags: community, groups, history, Wester Hailes | Permalink.